In looking at the future development of Buy-on-Board, one needs only to keep a close eye on the purchasing behavior of travelers. 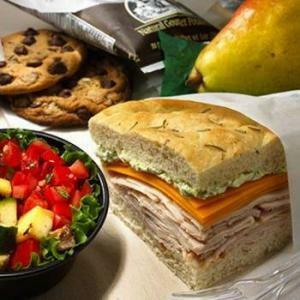 Recent data reveals airport food and beverage (F&B) offerings increased some nine percent from 2011 to 2012. From Chicago O’Hare to LAX and from Salt Lake City to JFK – airports are spending millions of dollars to upgrade their culinary establishments. The trend is also making the rounds overseas at places like London Heathrow, where official food tasters have recently been tasked with improving the airport’s dining experience in just six months’ time. Whether it’s serving the local microbrew or dinner at the trendiest downtown eatery – airports are striving – and even excelling at becoming a credible dining destination for passengers. These offerings, coupled with investments in upgraded technology, are making airports a formidable competition for airline Buy-on-Board programs. According to Mir Khan, LSG Sky Chefs’ Director of Buy-on-Board and Retail Programs in North America, both airlines and airports are increasingly focusing on convenience and integrating the latest technology as a means for making purchasing as hassle-free as possible for the travelers. Passenger surveys have shown that one reason for purchasing at the airport is the limited availability and selection of meals on board. One key program that we launched last year and is continuously being enhanced is our pre-order solution, which allows airlines to offer their customers the ability to order their first-choice meal well in advance of getting to the airport.